A 46-year-old Hmong woman presented with complaints of right foot pain and a rash, increased right hip pain, and fever. 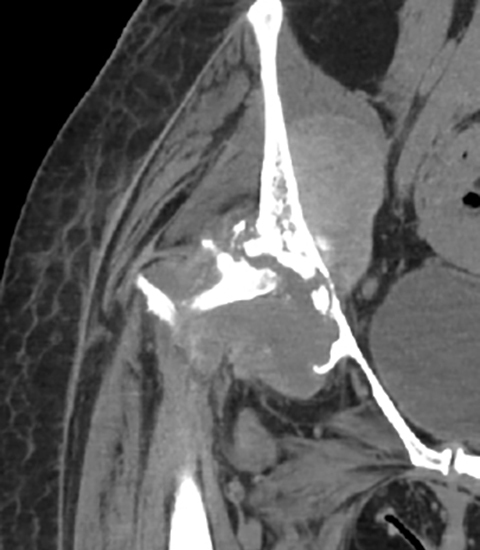 Findings were concerning for vasculitis with septic emboli from an infected right hip. 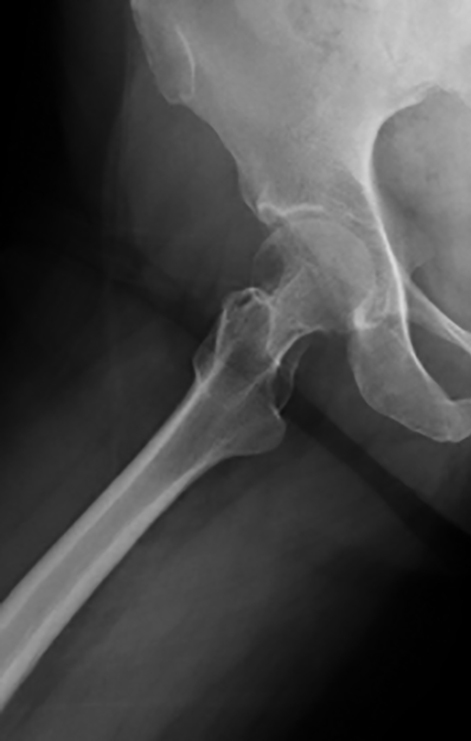 After initial cultures from a right hip joint aspiration failed to show any growth, the patient was taken to surgery for an incision and drainage. The patient had a past medical history of restrictive lung disease, probable sarcoidosis (lymphadenopathy and noncaseating granulomas on biopsy from a pericardial aspirate), and chronic right hip erosive arthritis for 3 years. A physical exam reveals 1 to 2+ edema with a petechial rash of both feet extending into the rightleg and medial thigh. Review of systems was positive for fever, weakness, and right hip pain and deformity. Laboratory data revealed a white blood cell count of 17,000/uL and an erythrocyte sedimentation rate of 104 (normal 0-20 mm/hour). Cultures from biopsies revealed an absolute neutrophil count of 27,000 with Mycobacterium tuberculosis on final isolate. Pathology results showed necrosis and suppurative mixed inflammation. A quantiferon test was positive for tuberculosis. 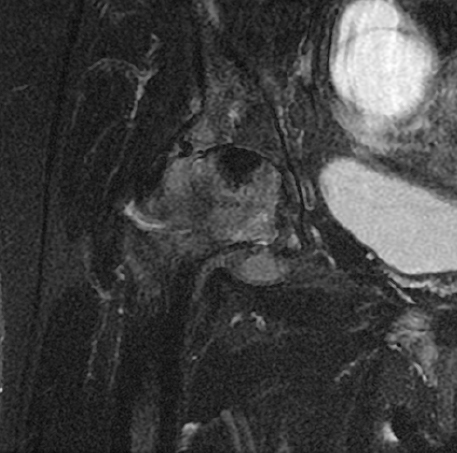 Computed tomography (CT) of the right hip was performed to evaluate progression of right hip erosion. 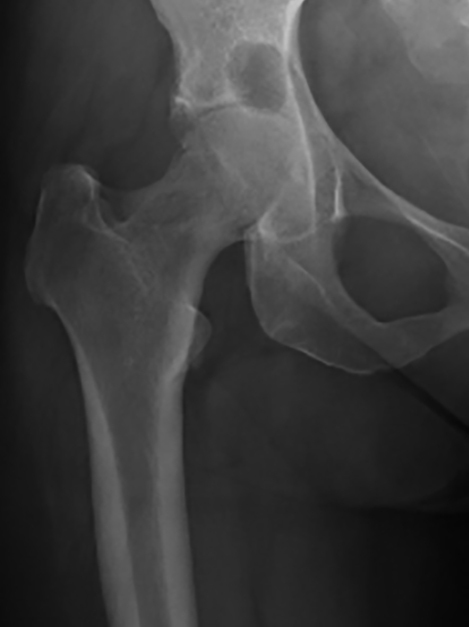 The right hip CT showed a very large joint effusion containing complex fluid compatible with infected fluid. There was also an avulsion fracture of the anterosuperior acetabulum and a severely comminuted fracture of the right femoral neck with cephalad displacement. There had been progressive erosive changes to the right femoral head and acetabulum (Figures 1, 2, 4, and 6). 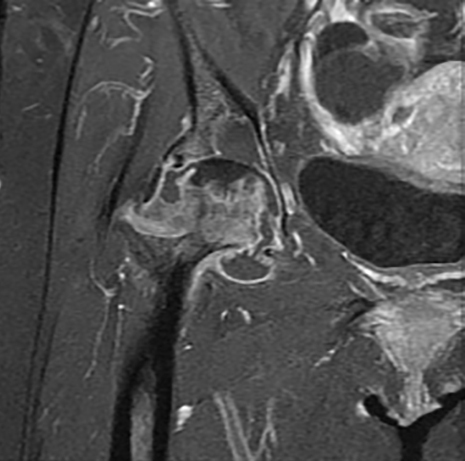 A right hip magnetic resonance imaging study (MRI) obtained 5 months prior to admission demonstrated changes in the femoral head, suggesting chronic erosion with subchondralsclerosis, findings felt possibly related to pigmented villonodular synovitis (PVNS), or chronic infection (Figures 3 and 5). Osteoarticular tuberculosis is a chronic inflammatory joint disease caused by spread of Mycobacterium tuberculosis. 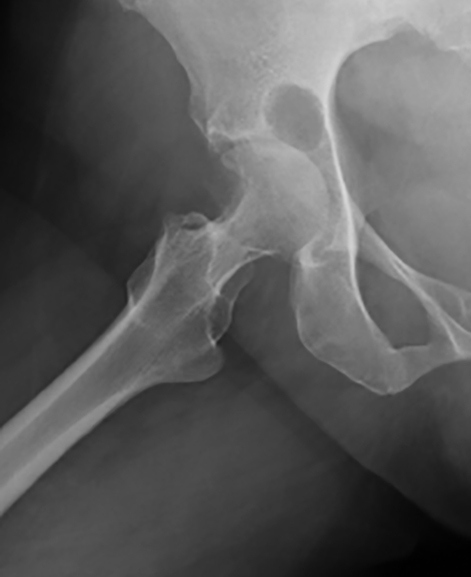 Musculoskeletal involvement occurs in 1% to 3% of all cases of tuberculosis, with involvement of the hip joint in 15% of osteoarticular tuberculosis and is the second-most common location after spinal tuberculosis.1,2 Clinical presentation can be indolent with multiple joint involvement with fever, weight loss, and, eventual per articular abscess formation.1 Typical initial presentation is within the second or third decades, but clinically can be insidious and chronic.3 Monoarticular involvement more commonly occurs in the older population. 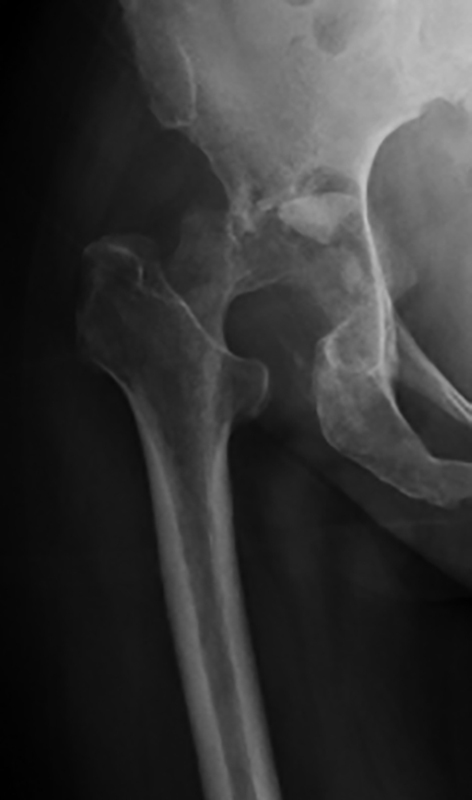 While still relatively rare in developed countries, it has become more common recently with increased incidence in developing countries, immigration from high prevalence areas, andan aging and/or immunocompromised population.4 Early identification is crucial in order to properly manage and treat to avoid progressive and permanent joint deformity and bony destruction. The mode of spread is hematogenous or by direct extension of a neighboring focus in the lungs or lymph nodes.4 Hip infection is similar to progression in lungs with chronic granulomatous inflammation and caseation necrosis. Radiographs may initially show soft-tissue swelling with progressive osteopenia, periosteal thickening, and periarticular bony and cartilaginous destruction. Initial response always starts in the bone, most commonly the acetabular roof, greater trochanter, femoral epiphysis, and, rarely, the synovial membrane.4 The femoral head and neck are intracapsular so infection can easily spread into the joint. Stage I disease includes a low-grade synovitis with eventual cartilage destruction and joint distension with pus. This effusion leads to apparent leg lengthening as flexion, abduction, and external rotation maximize volume of joint. Stage II is the arthritis stage, leading to flexion, adduction and internal rotation with apparent shortening from spasm of hip flexors and adductors. Stage III is erosion.1 Cartilage is destroyed and pathologic subluxation of the hip occurs, leading to true shortening of the limb. Differential diagnosis includes osteoarthritis, Perthe’s disease, pigmented villonodular synovitis, hemophilia, pseudogout, psoriaticarthritis, and rheumatoid arthritis. CT findings mirror radiographic findings, but are more sensitive for identification of soft-tissue abscesses.1 Both CT and MRI can help define the extent of soft-tissue involvement. Osteoarticular tuberculosis is a rare inflammatory joint disease with an indolent and insidious presentation. Early detection is crucial to aid in proper treatment to avoid the characteristically progressive destruction and permanent joint deformity that will develop if left untreated. Burrill J, Williams CJ, Bain G, et al. Tuberculosis: A radiologic review. Radiographics. 2007; 27(5):1255-1273. Babhulkar S, Pande S. Tuberculosis of the hip. Clin Orthop. 2002;398:93-99. Spiegel DA, Singh GK, Banskota AK. Tuberculosis of the Musculoskeletal System. Techniques in Orthopaedics. Lippincott Philadelphia, Pa: Williams & Wilkins, Inc.; 2005:167-178. Vanhoenacker FM, Sanghvi DA, and De Backer AI. Imaging features of extraaxial musculoskeletal tuberculosis. Indian J Radiol Imaging. 2009;19(3):176-186. 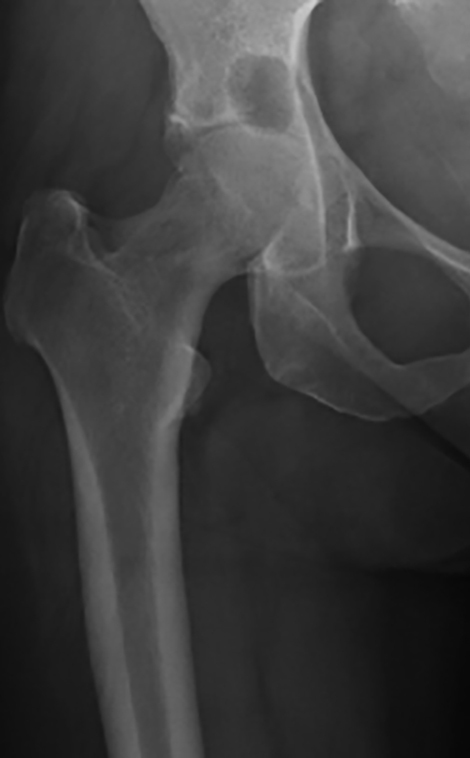 Radiological Case: Osteoarticular tuberculosis . Appl Radiol.